On XE5, we have revamped IDE Insight to be always visible and make it easier to use, on the following video I show how you can use it, and all the key strokes you can use to get the most out of it. Now, the tool is available as a toolbar at the top, and you can focus it using the mouse, or using F6 or Ctrl + . (dot), and you can start typing right away. The tool will show a list of available actions that match with what you are looking for. You can move through that list using the cursors and execute the item you want by pressing enter. If you want to clear the field, just press ESC once, if you press ESC again, the focus will return where it was before using the tool, so this is very handy if you are typing code and you don’t want to switch between your keyboard and mouse back and forth. In this post I will show you how the IDE detects the devices you have connected, so you can select them as targets to install and run your apps from within the IDE. In XE5, we have added support for device detection both for iOS and Android, being the only difference that for iOS, you have to manually refresh the Project Manager after you plug the devices. 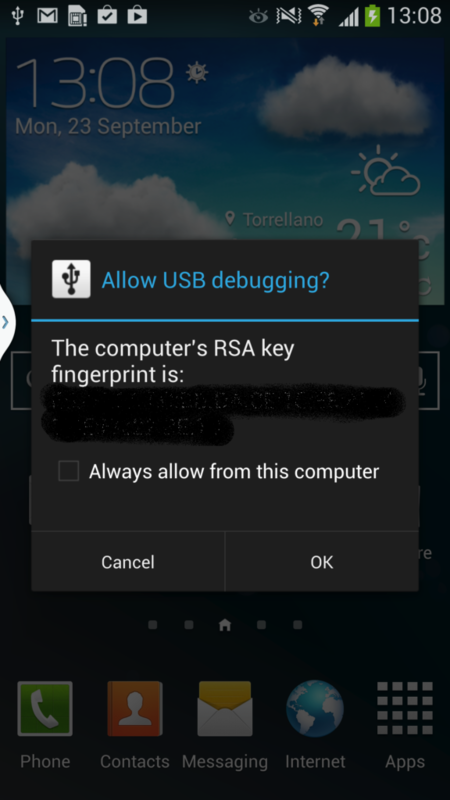 For Android, devices are detected automatically after you plug/unplug them from your machine. Bear in mind this post assumes you have properly configured the drivers for your Android devices. The goal of this post is to explain what happens when you select Run on your Android project. In short, there are two major steps: Building and Deploying, and those steps are also divided in several stages, like Compiling, Linking, Packaging, etc. The following schema shows the biggest steps. On this article I’m not explaining how the .apk is deployed to the device, and how is run, that will be shown later. If you are curious about what’s going on under the hood, you can always use the Messages window to get a list of all the commands issued in the process. This article is to explain how the IDE generated the AndroidManifest.xml file that should be included in the APK of your application, which settings are introduced by the IDE, and how you can freely customize this file to add anything you need. To generate the final AndroidManifest.xml file, the IDE looks in the project directory for a file called AndroidManifest.template.xml, if it doesn’t exists, it copies a standard file located at C:\Program Files\Embarcadero\RAD Studio\12.0\ObjRepos\en\Android\AndroidManifest.xml to the project directory. Then, it replaces all the placeholders, named %variable% by it’s corresponding values, for example, %minSdkVersion%, and puts the value in the output folder designed for the project, ready for the deployment to perform the packaging and signature. So, as you can see, the IDE makes you easy to generate an AndroidManifest.xml file, and, in the event you need to do some manual tweaking, allows you to do it by freely editing a template, that you should consider also a source code file.